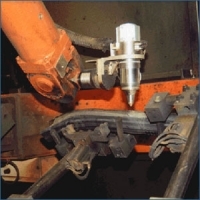 A JK Cutting Head, part of our process tools range, is critical to consistent cutting in this harsh environment with lots of robotic motion. Using capacitive height sensing to follow the contour of the part without contact and with 25mm of travel, the cutting head helps keep the process in focus. With patented features, crash avoidance technology and rugged construction, this unit is ready for automotive robotic cells. CW Lasers produce the average power for fast cutting. Modulated output is important when cutting zinc coated steels. The modulation improves cutting speed and edge quality by reducing the effects of the zinc vapor with the molten metal flow. Coaxial oxygen is used to aid in the cutting process and keep the optics clean. 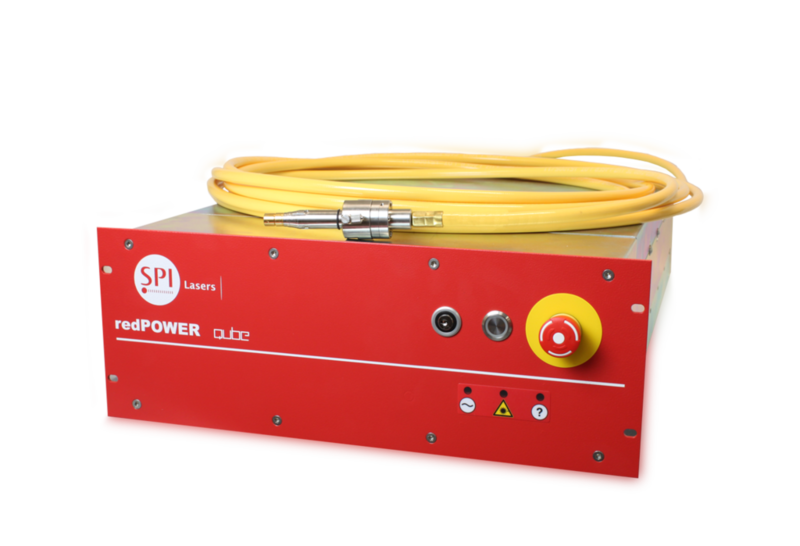 Lasers in the 500W range are used most often with steel thicknesses up to 2.5mm. If higher speeds are needed or if thicker materials are involved, 1kW units are more common.